Our business hours are 8am - 4pm MST Monday through Friday. Local delivery available upon request. 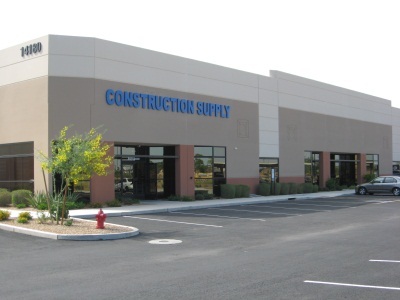 Construction Supply is a leading supplier to pro contractors, do-it yourselfers and industrial users in the Phoenix metropolitan area. We carry a full line of construction tools & materials so we can simplify your ordering, streamline deliveries and provide you with one-source accountability. We are here to help you complete the job, and strive to be your preferred partner in the sourcing and delivery of the tools and materials you need to make your project a success. 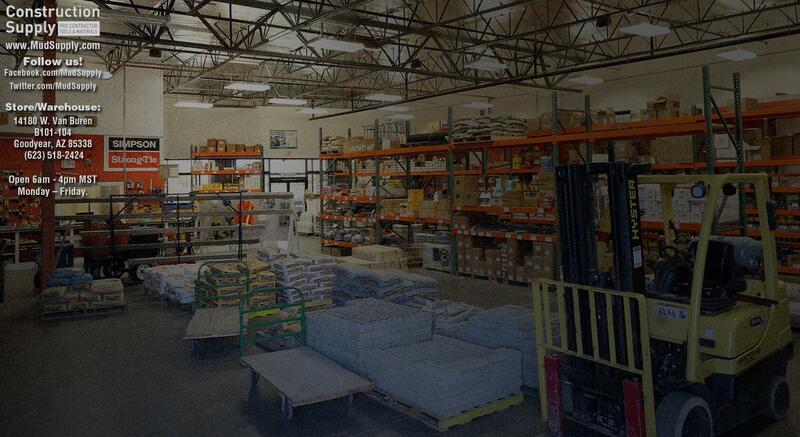 Our 15,000 square foot warehouse stocks concrete accessories, rebar, jobsite safety supplies, tools, fasteners, industrial commercial supplies, chemicals & sealants, framing hardware, engineered lumber, metal products and bagged goods. We are staffed by knowledgeable professionals who are dedicated to making sure your needs are met and that your experience is extraordinary. You can shop at www.mudsupply.com with confidence. We have partnered with PayPal, a leading payment gateway, to accept credit cards and electronic check payments safely and securely for our customers. For additional information regarding the privacy of your sensitive cardholder data, please read the PayPal.